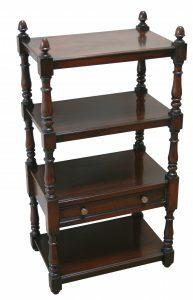 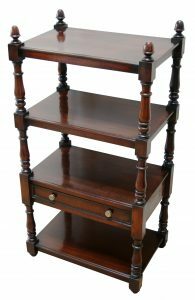 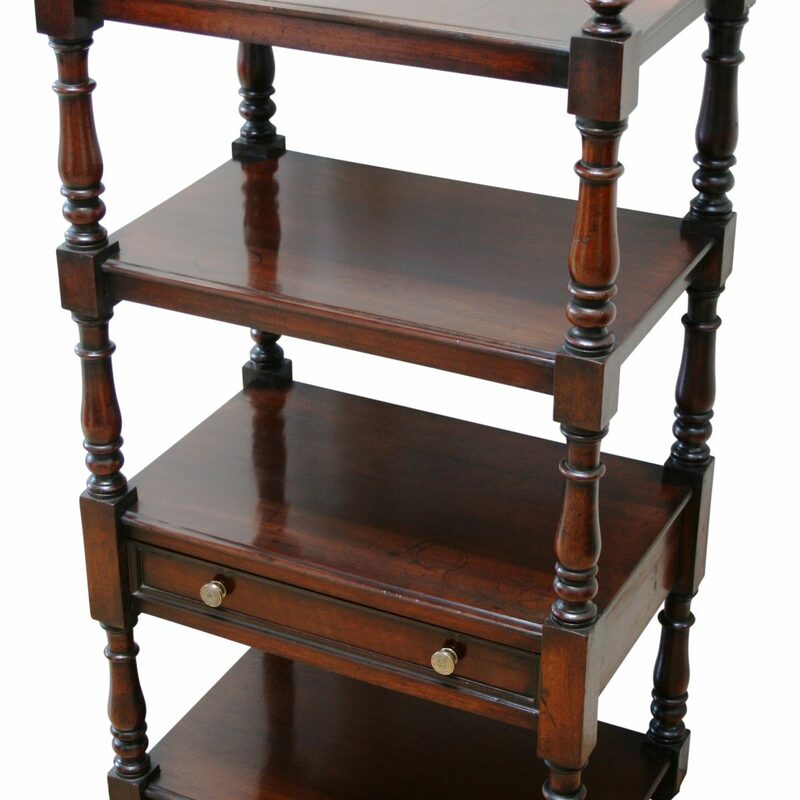 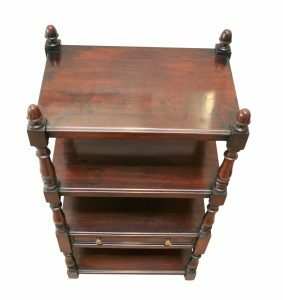 A William IV mahogany 4 tier what-not or dumb waiter. 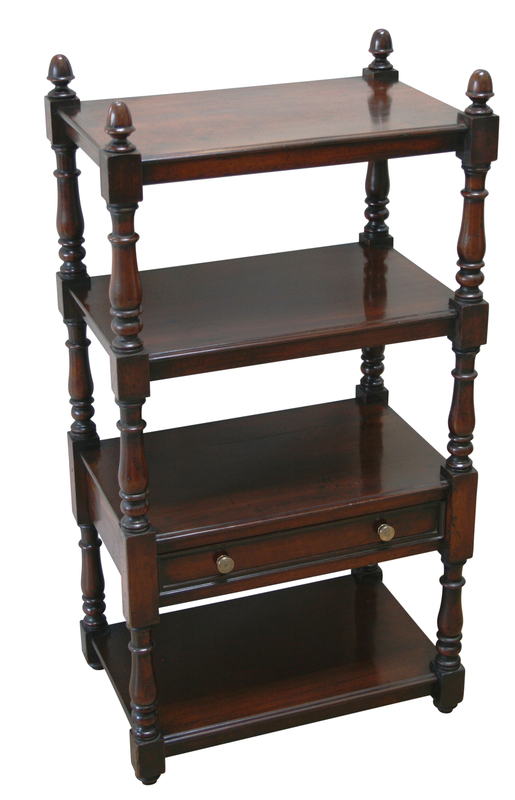 The four moulded shelves are supported on square and baluster turned legs, topped with acorn finials. 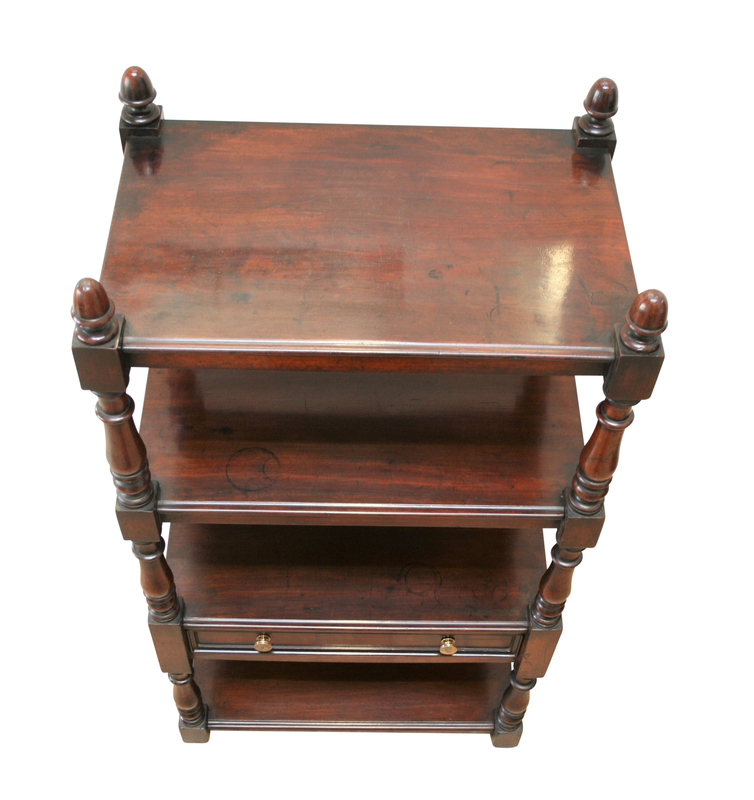 It has a single mahogany lined drawer fitted with brass knob handles.